One of the Success Principles that I talk about a lot (including in the FREE Quantum Level 1 Nutrition Guide) is knowing where your food is going to come from ahead of time. Your food isn't going to magically appear out of thing air. It's got to come from somewhere. Effective food prep might be the simplest and most important thing you can do to set yourself up for success. Jack hit the nail on the head. 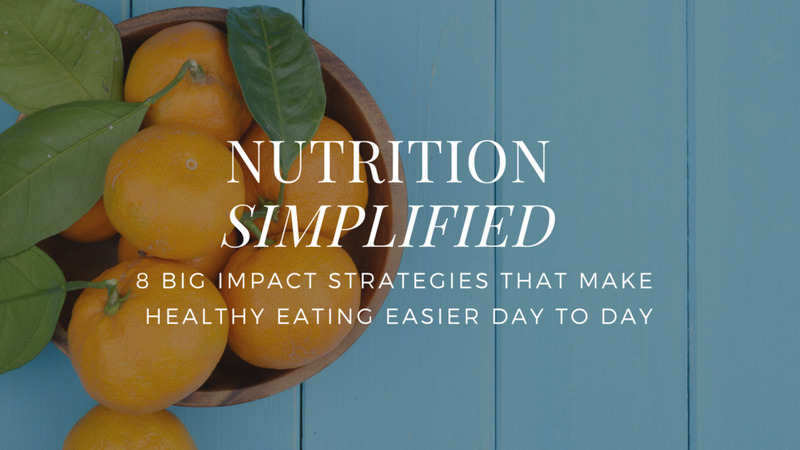 Without solid prep habits, you won't have healthy food easily on hand. When healthy food isn't convenient, we're a lot more likely to buy fast, cheap, unhealthy items that are convenient to grab on the go. Then we get fat, have less energy, and have less to give to the things and people that matter. Pick one day a week a batch cook. I prep all my lunches and dinners for the week on Sunday, and I have a simple breakfast routine that only takes a few minutes each morning. On my meal prep day, I pick 2 or 3 types of proteins. Then I pick 2-3 veggie dishes. Then, depending on your starch needs, you can cook-up a batch of rice/potatoes/sweet potatoes/beans, etc. You can do pretty much everything in 90mins to 2 hours total IF you pick simple recipes. Would I usually rather be watching football, playing soccer or going on a bike-ride for that 2 hours on a Sunday? Yes. But getting my food prep taken care of saves me hours of time during the week and sets me up to maximum success. It's worth it. Don't get me wrong, you don't have to do it all on one day if that doesn't make sense for you. If the "cook all your meals in one day for the week" doesn't work for you, find something else that does. Feel free to ask me for help if you need suggestions. Buy a whole bunch of containers to store the food in/partition. Use disposable/recyclable ones if the clean-up is too much/causing too much friction. If you cook too much, freeze it. Wasting food also means wasting your time and money. Most health guidelines suggest that cooked meats are OK in the fridge for 4 days. I personally keep them for up to five, but I'm not advocating going against public health policy! Those same foods can easily be frozen for up to 3 months, so that buys you plenty of leeway. Having said that, to avoid freezer burn, make sure you either have an excellent food packing system or use your frozen leftovers in 2-4 weeks. Also, certain foods freeze better than others. Soups, stews or curries tend to do very well in the freezer. Have a list of healthy options for back-ups if you run out of food and need to eat out: burrito salads, shwarma salads, thai curries, greek salad & souvlaki, are solid options that let you avoid sugar and refined (think "white) carbs. Make a list of 3 solid options near home, and another 3 near work/school. Then use them when plan-A goes to goes the shitter. Have at least 2-3 back-ups at home all the time that are easy to whip up. Your best plans will get messed up. Your kids are puking and you've got to look after them. Your dog just ate a bag of chocolate and you've got to take an emergency trip to the vet. You aunt is sick and you've been visiting the hospital. Your initial plan will get disrupted frequently. So keep some simple back-ups available. Proteins: frozen ground beef, frozen sausages, eggs, canned salmon, frozen salmon fillet. Veggies: frozen peas. Spinach or other greens for a quick flash-fry. Quick snacks: a few nuts or a piece of fruit. And other fantastic and fast back-up plan is a shake. I use this a lot on busy days. Check it out here. Be excited about what you're going to eat! It doesn't have to be boiled chicken breast and steamed broccoli. That's never going to be sustainable for most people (if you have taste buds). Pick a few meals that you genuinely like. Ask friends (who's cooking skills you trust!) for a couple of their favourite, easy to make dishes. Don't worry about becoming Martha Stewart overnight. You just need a solid rotation of tasty, healthy meals that you enjoy. And if you don't enjoy it, find something else. There are tons of healthy AND tasty AND relatively simply meals out there. I help my clients learn how to cook all the time, so you can even ask me for help if you don't know where to turn. If food-prep is too overwhelming, find an alternative. There are dozens and dozens of healthy meal delivery services out there that will deliver healthy, tasty meals right to your door. It costs a bit more, but it saves time and is incredibly convenient. If food prep is holding you back, invest in yourself, and pay someone else to take the burden of cooking off your shoulders. Or, eat out more. Find healthy salad bars and restaurants with healthy options. While it might not be quite a good as homemade (since you don't know the ingredients, can't control the amount of salt and types oils being used, etc. ), it's still a heck of a lot better than smashing a large pizza into your face because "you didn't have anything else to eat." That's a lame excuse. Don't let yourself get away with lame excuses.